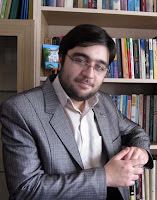 Kourosh Ziabari is an Iranian journalist, author, polyglot, and contributing columnist and correspondant for numerous publications worldwide, including the Netherlands, Canada, Italy, Hong Kong, Bulgaria, South Korea, Belgium, Germany, the UK and the US. 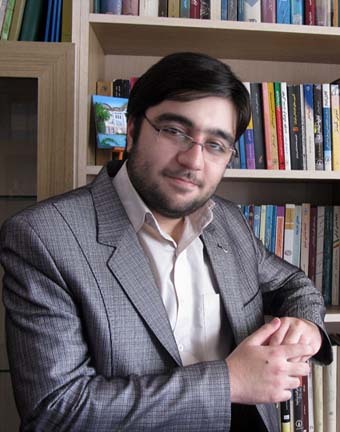 At the age of 14, he was selected as the world's youngest journalist by International Federation of Journalists and, in 2010, was honored by Iran's National Organization of Youths for his outstanding contributions and achievements in the field of "Media Activities." Ziabari has conducted interviews with politicians, Nobel laureates, journalists, authors, among them political commentator and linguist Noam Chomsky, former Mexican President Vicente Fox, former U.S. National Security Council advisor Peter D. Feaver, German political prisoner Ernst Zündel, Brazilian cartoonist Carlos Latuff, American author Stephen Kinzer, journalist Eric Margolis, former assistant of the U.S. Department of the Treasury Paul Craig Roberts, American-Palestinian journalist Ramzy Baroud, American international relations scholar Stephen Zunes, American singer/songwriter David Rovics, American political scientist and anthropologist William Beeman, British journalist Andy Worthington, Australian author and blogger Antony Loewenstein, Iranian geopolitics expert Pirouz Mojtahedzadeh, Lebanese scholar and researcher Gilbert Achcar, American historian Michael A. Hoffman II and Israeli musician and political commentator Gilad Atzmon. I am thrilled and honored to have now been added to that list. Kourosh Ziabari: As you have pointed out in your articles, over the past decade Israel has been continuously threatening Iran with preemptive military strikes. War threats have been an inseparable part of the U.S.-backed, Zionist-run propaganda project against Iran. The question which I want to raise is that, from a legal point of view, shouldn't incessant war threats by a fake political entity against a sovereign nation be followed by the decisive action of the international organizations, such as the United Nations Security Council? Why doesn't this aggressive fear-mongering have any punitive consequence for the Israeli regime? Nima Shirazi: Considering no amount of actual Israeli aggression, whether in the form of ethnically cleansing East Jerusalem, shooting unarmed Palestinian protesters in the occupied West Bank, dropping bombs and white phosphorous on a besieged civilian population in Gaza, or murdering Turkish peace activists in international waters, is met with anything but unconditional support by Western powers, it's hardly surprising that Israel has been getting away with threatening a military attack on Iran for decades now. While it is true that both "the threat or use of force" is forbidden by the United Nations Charter, and therefore a breach of international law, it has long been clear that Israel is immune to such scrutiny as its ongoing violence is repeatedly justified, endorsed, and funded by the United States. One of the primary reasons for this impunity is the successful promotion of Zionist mythologies in American political discourse. These mythologies, which go unquestioned and are often repeated by both Israeli and U.S. officials, serve to cast Israel - a heavily militarized, nuclear-armed hegemon - in the role of perpetual victim, always on the defensive. The result is emotional blackmail on an international level. This perennial victimhood completely inverts cause and effect. As a result, the oppressed becomes the oppressor, the culprit becomes the victim, occupation is security, illegal colonization is cultural liberation, aggressive expansion is righteous reclamation, genocide is self-defense, apartheid is justice, resistance is terrorism, and ethnic cleansing is peace. The fear-mongering over a phantom Iranian nuclear bomb (a manufactured specter of death and destruction promoted by the U.S. and Israel for the past three decades) is invariably coupled with allusions to the Holocaust in which the Islamic Republic of Iran is the new Nazi Germany, Ahmadinejad is Hitler, Israel's very existence is threatened, and Jews worldwide face imminent extinction. As an Israeli Iran expert once explained to Trita Parsi, "You have to recognize that we Israelis need an existential threat. It is part of the way we view the world. If we can ﬁnd more than one, that would be preferable, but we will settle for one." The consequence of such dishonest and dangerous analogies is clear, as Peter Beinart pointed out last year in The New York Review of Books, "In the world of AIPAC, the Holocaust analogies never stop, and their message is always the same: Jews are licensed by their victimhood to worry only about themselves." Recent comments by both Barack Obama and Benjamin Netanyahu are both illustrative and instructive. Obama, speaking the other day at the 2011 AIPAC Conference, managed to weave a string of Zionist talking points together in one dazzling sentence: "When I went to Sderot and saw the daily struggle to survive in the eyes of an eight-year-old boy who lost his leg to a Hamas rocket, and when I walked among the Hall of Names at Yad Vashem, I was reminded of the existential fear of Israelis when a modern dictator seeks nuclear weapons and threatens to wipe Israel off the face of the map -- face of the Earth." Naturally, there is no mention or acknowledgement of the daily terror experienced by Palestinian children in Gaza who are subject to, not only deliberate sonic booms and collective punishment, but also U.S.-supplied Israeli fighter jets, attack helicopters, unmanned aerial drones, missiles, bombshells, bullets, and chemical, banned, and experimental weaponry. Needless to say, terming Ahmadinejad a "dictator" demonstrates a distinct lack of understanding about the Iranian political system. There is absolutely no evidence Iran is seeking nuclear weapons (Obama's own intelligence apparatus has consistently confirmed this) and the absurd "wipe Israel off the face of the map" quote has long been debunked. For the American president to repeat all these lies - in one sentence, no less - demonstrates the power and pervasiveness of Zionist mythology. Netanyahu used a nearly identical formulation is his recent speech to a special joint session of Congress. "As for Israel, if history has taught the Jewish people anything, it is that we must take calls for our destruction seriously," he declared. "We are a nation that rose from the ashes of the Holocaust. When we say never again, we mean never again. Israel always reserves the right to defend itself." Netanyahu's turn of phrase is ironic considering the title of former Knesset speaker Avraham Burg's 2008 book, "The Holocaust Is Over; We Must Rise From Its Ashes," in which Burg exposes the purpose of playing the victim. "Victimhood sets you free," he wrote. Over thirty years ago, in 1980, Israeli journalist Boaz Evron put it another way: "If we assume the world hates us and persecutes us, we feel exempted from the need to be accountable for our actions towards it." The United States, which wields unparalleled power over international institutions such as the UN Security Council, has long dedicated itself to promoting this narrative and protecting its partner-in-war crimes Israel from any diplomatic or political scrutiny. KZ: In your recent article, you referred to the remarks made by Iranian President Mahmoud Ahmadinejad who said in an interview with Charlie Rose that Iran does have the courage to announce its intention to build nuclear bombs if it ever has one. My question is that, are the United States and its European allies, really unaware of the fact that Iran does not have nuclear weapons and doesn't intend to build them? It's quite inconceivable that with its sophisticated intelligence structure, the United States hasn't really come to the point that Iran doesn't have nuclear bombs nor does it intend to make one. Is it all about black propaganda and fear-mongering to discredit Iran and derail its status as a regional superpower or a simple lack of sufficient information? NS: Despite all the war-mongering rhetoric, the United States government is well aware that Iran's nuclear energy program remains peaceful and fully monitored by the IAEA. Its own intelligence agencies have consistently reaffirmed the non-military nature of the program, from the recently updated National Intelligence Estimate to its Annual Threat Assessments, and maintains that Iran's military strategy is purely defensive, not aggressive. Iran is one of the only nations in the world that refuses to back down from its own inalienable rights in the face of Western, namely U.S., pressure. While Obama often declares his solidarity with the Iranian people (which he sees as unsupportive of its own government - another fallacy based mostly on Western wishful thinking), he ignores that, according to a recent RAND Corporation survey, 87% of Iranians strongly favor the "Iranian development of nuclear energy for civilian use," while a whopping 98% believe that the "possession of nuclear energy is a national right." By insisting that Iran relinquish its rights (as affirmed by the Nuclear Non-Proliferation Treaty, to which Iran has been a signatory for over four decades), Obama reveals himself as a hypocrite and a bully. KZ: The United States is apparently clinging to double standards when it comes to Israel's nuclear program. Almost everyone knows that the Israeli regime is the sole possessor of nuclear weapons in the Middle East. It does possess up to 200 nuclear warheads in its arsenal, and none of the international organizations, including IAEA have ever dared to question or investigate this dangerous arsenal. Once in an interview with me, the Antiwar.com writer Joshua Frank said that the "United States doesn't have to justify its double standards to anyone," because of the arrogant nature of its statesmen and the complicated structure of what Hamid Golpira calls its "corporatocracy." What's your viewpoint in this regard? NS: The duplicity of both the United States and Israel when it comes to the nuclear issue is astounding. During his recent speech to Congress, Israel Prime Minster Netanyahu actually suggested with a serious face that "a nuclear-armed Iran would ignite a nuclear arms race in the Middle East," as if his own country - with its own massive nuclear stockpile - either didn't exist or wasn't in the Middle East. It is both official Israeli and U.S. policy that Israel's nuclear arsenal goes unacknowledged. This policy was established between President Richard Nixon and Israeli Prime Minister Golda Meir in 1969. A declassified memo from Nixon's national security adviser Henry Kissinger, dated July 19, 1969, notes, "While we might ideally like to halt actual Israeli possession, what we really want at a minimum may be just to keep Israeli possession from becoming an established international fact." Accordingly, Nixon formally suspended all inspection of Israel's Dimona nuclear plant in 1970 and ceased demands that Israel join the Nuclear Non-Proliferation Treaty. The next year, the Nixon administration sold Israel hundreds of krytons, a type of high-speed switch necessary for the development of nuclear warheads. When Obama first met with Netanyahu in May 2009, he confirmed the continuity of the secret agreement, a stance one Senate staffer reportedly described as "call[ing] into question virtually every part of the president's nonproliferation agenda" and which was tantamount to giving "Israel an NPT treaty get out of jail free card." Israeli nuclear expert Avner Cohen has described the denial policy as the equivalent of "don’t ask, don’t tell." Yet, when officials are occasionally asked, the policy invariably becomes "don't tell, then quickly change the subject to the manufactured Iranian threat." In recent years, there have been efforts by NPT members to pressure the IAEA to investigate and inspect Israel's nuclear arsenal. These actions have all been opposed by Western states, led by the U.S. Last year, all 189 member nations of the Nuclear Non-Proliferation Treaty (including both the United States and Iran) agreed to "the establishment of a Middle East zone free of nuclear weapons and all other weapons of mass destruction." Unsurprisingly, Israel denounced the accord, describing it as "deeply flawed and hypocritical" and declared, "As a nonsignatory state of the NPT, Israel is not obligated by the decisions of this Conference, which has no authority over Israel. Given the distorted nature of this resolution, Israel will not be able to take part in its implementation." In June 2010, IAEA Director General Yukiya Amano asked all member states to submit their review to support the implementation of a 2009 IAEA resolution which expressed "concern about the Israeli nuclear capabilities, and calls upon Israel to accede to the NPT and place all its nuclear facilities under comprehensive IAEA safeguards." In response, Obama reaffirmed his administration's commitment to double standards when it comes to Israel during a meeting with Netanyahu. After decrying efforts to supposedly "single out" Israel, Obama proceeded to do just that, claiming that, of all countries in the world, "Israel has unique security requirements." He then vowed that, with regards to any international efforts towards weapons control and decommissioning nuclear weapons, the "United States will never ask Israel to take any steps that would undermine their security interests" and promised to maintain Israel's "qualitative military edge" in the region. In September 2010, after intense U.S. lobbying on behalf of Israel, IAEA members narrowly rejected the resolution with a vote of 51 against, 46 for, and 23 abstentions. The hypocrisy continues. KZ: You may admit that the image which the Western mainstream media have portrayed of Iran is basically distorted, unrealistic and misleading. Many American citizens who believe that Iran is working on the development of a nuclear bomb have simply heard the name of Iran in the form of stereotypes such as the ongoing controversy over its nuclear program and mass demonstrations in which people chant "Death to America." They are credulously ignorant of Iran's brilliant civilization and culture and even assume that Iran is an Arab country. The Western state-run media have introduced Iran as a promoter of extremism and what they call Islamic fundamentalism, turning a blind eye to the fact that their staunch allies such as Saudi Arabia, Bahrain and Egypt are the motherlands of international terrorism. What's your viewpoint regarding the portrayal of Iran in the Western media? How is it possible to change the viewpoint of the Western citizens about Iran and acquaint them with its concealed realities? NS: The negative image of Iran as presented by Western media is nearly impenetrable. The reason for this is simple. Iran is one of the only countries in recent history to have successfully challenged Western imperialism and assert its independence from U.S. hegemony. As a result, it is mercilessly demonized in ways countries with far worse human rights records are not. In the United States, rampant anti-Iran propaganda serves to inure an increasingly militarized American populace to the reality of devastating sanctions which harm the Iranian public (sometimes with lethal consequences in the form of air safety, for example) and the possibility of military assault. Despite the fact that absolutely no evidence has ever been found to support allegations of election fraud in June 2009, the Western press still pushes that lie to great effect. It is no wonder that, just last year, a CNN/Opinion Research Corporation poll found that 71% of Americans believed Iran already had nuclear weapons. Iranian women make up well over half of university students and hold high level jobs in all kinds of professions; they are business owners, doctors, lawyers, university professors, filmmakers, artists, writers, and Cabinet ministers. Iran is home to an ancient, vibrant, and proud Jewish community, which is the largest in the Middle East outside Israel. Yet no one seriously promotes sanctioning or bombing Saudi Arabia, America's staunch monarchical ally and business partner that arrests women for driving cars. Quite the contrary, in fact. Just last year, the United States made a deal to sell the Saudi kingdom $60 billion worth of military equipment. And yes, that's billion with a "b." Such is the power of propaganda. Challenging popular perceptions about Iran is difficult, which is why the excellent work of analysts like Flynt and Hillary Mann Leverett, Hooman Majd, Sharmine Narwani, Cyrus Safdari, Jeremy R. Hammond, Abolghasem Bayyenat, Phil Wilayto, Jim Lobe, Ali Gharib, Eli Clifton, Gareth Porter, and Eric Brill (among a number of others) is invaluable and important. Hopefully, by supplanting war-mongering propaganda with facts, a more honest discourse about the future of the relationship between the West - notably the U.S. - and Iran can emerge, a discourse not influenced primarily by Zionist talking points and American exceptionalism. KZ: Let's move on to the recent developments in the Middle East. The Arab Spring seems to have emerged quite unexpectedly and abruptly. An unassuming street vendor poured inflammable liquid over his body and set himself alight before the municipality office in Tunisia in protest to the female officer who had insulted him, tens of thousands of his fellow citizens took to the streets to express their sympathy with him, their demonstrations turned violent and gradually changed into a revolution and the revolution soon encompassed the whole Arab world and resulted in what we are witnessing these days. What's your viewpoint about the Arab world uprisings? What factors did contribute to the emergence of these chained revolutions? Is the United States, which calls itself the champion of democracy, happy with the pro-democracy movement of the Arab nations? NS: While there is plenty of evidence that the United States has long been engaged in so-called "democracy promotion" in the region (ironic to say the least considering that the most despotic and dictatorial regimes in the region have been primarily financed and supported by the U.S.), I think it is indisputable that the recent events are indigenous and genuine. While it is true that Zionist-influenced NGOs and pseudo-NGOs may advocate for "democratic change" in predominately Arab and Muslim countries, and the hypocrisy and duplicity of these organizations are obvious (especially since the same groups encouraged the invasions and occupations of Afghanistan and Iraq and support the ongoing occupation and apartheid in Palestine), I don't believe this necessarily translates into their blanket support of what's actually happening now across the Middle East and North Africa. Advocating "democracy" has far more to do with encouraging technocratic Western- and Israeli-friendly movements among Arab youth sectors, movements that - ideally - would embrace neoliberal economic policy and neoconservative foreign policy. In my view, these "democracy promoters" have seen their talking points backfire and genuine movements of self-determination, sovereignty, and representative foreign policy have emerged to challenge the decades-long stranglehold of Western-backed dictatorships across the region. In short, I don't think what we're seeing is one big American or Zionist ruse, though we are obviously seeing a lot of panicked backtracking, frantic horse-backing, embarrassing sidestepping, and misguided wishful thinking. Recently, former IDF prison guard Jeffrey Goldberg posted an interview he conducted with Hillary Clinton, in which Clinton noted this: "Israeli commentators [are] saying they're not so sure that change in Syria is in Israel's interest." Still, I find analysis of Western and Israeli promotion of color revolutions (the impressive research of Maidhc Ó Cathail comes to mind) to be vitally important in assessing the many complex dynamics of what directs U.S. and Zionist foreign policy. "Democracy promotion" is an imperial and post-colonial construct that hopes to engineer and capitalize (pun intended) on changing and nascent power structures. I think the democracies both the U.S. and Israel would want to see emerge in the Middle East - since the dictatorships they have long propped-up are clearly unsustainable - are vastly different than what is actually happening. And that's certainly a good thing. KZ: Israel seems to be quite anxious about the Middle East revolutions since it is losing its allies in the region one after another. The homicidal assault of the Israel Defense Forces on the Freedom Flotilla in May 2010 cost Israel its friendship with Turkey. Now, with the ouster of the U.S. puppet Hosni Mubark, Israel is losing another ally. What will be the impacts of the Middle East uprisings on the future of Israel? What's your analysis of the political prospect of Israel in the light of the recent unity deal between Hamas and Fatah brokered by the new government of Egypt? NS: With regard to Egypt's (hopefully) burgeoning democracy, I think it's clear Israel is terrified, as it no longer has a reliable partner in occupation and collective punishment, and has seemingly lost a willing participant in their ongoing propaganda campaign of demonization against Iran. On May 5, the Washington Post published an interview with Egypt's Foreign Minister Nabil El Araby, during which El Araby clearly stated his pride in (and took credit for) the recent "reconciliation" between Fatah and Hamas and new Egyptian initiatives to "alleviate the suffering of the people in Gaza." He also said that "Iran is not an enemy. We have no enemies." Soon thereafter, the Post published another interview, this time with Amr Moussa, longtime secretary-general of the Arab League and current Egyptian presidential hopeful, in which Moussa echoed the sentiments of El Araby. He stated, "Iran is not the natural enemy of Arabs, and it shouldn't be. We have a lot to gain by peaceful relations — or less tense relations — with Iran," in addition to noting the hypocrisy of the United States when it comes to the nuclear issue. "The nuclear issue in the Middle East means Israel and then Iran," he said, clearly making a point about which one is more pressing and dangerous. None of this plays into Israel's hands and I don't think this is a long con. Granted, not every development has been positive. In mid-May, for example, over 350 protesters were injured and 150 arrested when Egyptian military and riot police forces broke up a protest commemorating the Palestinian Nakba at the Israeli embassy in Cairo. Still, as governments in the region become more beholden and responsive to the wills of their citizens, the American and Israeli stranglehold will continue to lose its grip. KZ: You wrote on your website that the accounts of Glenn Greenwald, David Sirota, Chris Floyd, Haim Baram, Cord Jefferson, Chris Hayes and Kai Wright are quite close to your own interpretation of the assassination of Osama Bin Laden by the American forces. Would you please elaborate on your own take on the death of the Al-Qaeda leader? Why didn't the United States capture Bin Laden alive? He could have potentially released so much precious information regarding the structure of his terrorist organization. Why did they kill him while he could have been more valuable alive? NS: Even if we are to believe the official story about the U.S. raid in Abbottabad, myriad questions remain regarding the legality of such an operation. It is clear that orders were for the U.S. forces to kill bin Laden on site, rather than attempt to capture him. While it remains a topic of debate whether or not bin Laden could be classified as a military or civilian target (each label brings with it specific legal considerations), perhaps the most troubling aspect of all this is the undeniable indifference to international law and to the concept of justice on the part of both the U.S. government and the American public. Correspondents for The Atlantic reported, soon after the raid, that "capturing bin Laden alive would have also presented the administration with an array of nettlesome legal and political challenges" and that "the administration was also wary of the congressional scrutiny that would have surrounded every decision it made about bin Laden's legal fate." Another article stated, "The White House made clear to JSOC that it strongly preferred to have bin Laden killed, rather than captured, because the administration had no good idea where to put him." Adam Serwer, in The American Prospect, noted that "attempting to bring bin Laden to American soil, even for trial, could have created a political firestorm." So, instead of dealing with these inconvenient trifles such as "law" and "justice," Obama decided to just kill bin Laden, since it was certainly far easier to shoot him in the face and dump him in the ocean. In strict accordance to Islamic principles, of course, just like all Muslim sea burials off the sides of U.S. aircraft carriers. This appears to be wholly at odds with what Obama himself has long touted as his respect for and adherence to so-called "American values." Nevertheless, the American public rejoiced that, as Obama claimed, "Justice has been done." But revenge, however viscerally satisfying it may be for some, is not justice. After a decade of constant invasion and occupation, of assassination and air strikes, of kidnapping and torture, of military commissions and indefinite detention, it is abundantly clear that Americans have completely forgotten what justice and accountability actually is, replacing it with drone attacks, extrajudicial killings, and a seemingly unquenchable thirst for vengeance. As Adam Serwer (with whom I disagree on a number of aspects of the bin Laden story) accurately and articulately remarked, "there's something deeply tragic about the fact that even in death, bin Laden still managed to make us afraid of our own system of justice." KZ: Osama Bin Laden's story is to some extent similar to what happened to Saddam Hussein. Saddam was armed and equipped by the U.S. to fight Iran and was taken out while his expiration date came. Bin Laden was similarly equipped and trained by the U.S. to battle the Soviet forces in Afghanistan, and now was removed as he was not useful for the U.S. purposes anymore. How can one come to terms with the fact that the U.S. grows up dangerous terrorists to serve their interests and then kills them once they lose their value? NS: The bin Laden narrative, just as the Saddam narrative before it, is yet one more example of the United States' selective and short-term foreign policy. The same could be said with regard to its three decade support for the Mubarak regime. One could say the United States was for Osama bin Laden before it was against him. The U.S. makes decisions based on its immediate policy, economic, and military goals, not on long-term (or even beneficial) national strategies. It refers to resistance groups as terrorists and vice versa as best suits its current situation. Remember, Nelson Mandela was on the U.S. Terrorist Watch List until just a few years ago. Empires need enemies more than they need allies. The trick is figuring out who or what is the enemy du jour and then attempting to find out why. Sometimes the answers come easy, sometimes they don't. If the tenets of international law and human rights were applied universally by the United States, not only would American hegemony and militarism dissolve, but I'd also have nothing to write about. And that would truly be wonderful. This interview was originally published by Veterans Today. The Holocaust analogy never stops because the last big one was, historically speaking, very recent. Nasser threatens to finish the job in the 1960s, Ahmadinejad threatens to do so in the 2000s. And you are honored to be included with Zundel. Thank you for perfectly demonstrating the fear-mongering nonsense I often write about. To you it's nonsense. I don't think any Jew cares that you think their fears and concerns are nonsense. To them, you are just an enemy adding to the Islamist propaganda. You are honored to be in the company of Zundel, a man who admires and loves Hitler and believes that the Holocaust did not occur. Thank you for your insight into what all Jews think and worry about. It's good to find out you believe all Jews think and fear as one, a monotheistic monolith of collective same-brainess. Few things are more anti-Semitic than the idea of Jewish groupthink - it's bold of you to reveal your true colors. Thanks for that. Also, if you knew anything of my own ancestry (which naturally you don't, and I wouldn't expect you to), you would know how asinine your assertions actually are. When I wrote that "I am thrilled and honored to have now been added to that list" of people Mr. Ziabari has interviewed, I meant just that. Nowhere do I claim to agree with or endorse anything said, written, or felt by anyone interviewed by Mr. Ziabari besides myself, but rather that I am honored to be one of the people he has chosen to interview. I chose to include Zündel on the list so as not to only selectively include those with whom I agree or admire. Had I been interviewed by Tsadok Yecheskeli, the former New York Bureau Chief for the Israeli newspaper Yedioth Ahronoth, I would have also said that I was "thrilled and honored" to join the ranks of those interviewed by him...even though, on February 2, 1997, he too interviewed Ernst Zündel. I should point out that you and Zündel have something in common: you both seem to promote the concept of Jewish "group morality." Shameful. In short, your insinuation is weak and your attempt at character assassination is embarrassing. P.S. The interview Ziabari conducted with Zündel can be read in its entirety on Foreign Policy Journal, a site which in no way endorses the contents of the interview itself or the views of Zündel himself but believes, as I do, in the importance of free speech. Being thrilled to be added to a list that includes Zundel speaks volumes, none spoken well. I have no idea what all Jews think. It is asinine for you to state such. I do not know who or what you are, I only know what you have written in your blog. Is there are group morality or a group think among Jews? I have no idea. I only know what I read. There are those who believe in disarming Jews, such as yourself, the writers at mondoweiss, and Dicky Silverstein among others and those who believe that unarmed Jews eventually means dead Jews. Historically, the latter occurs. Therefore, I opt to keep Jews armed and ready. Wow. Thank you for this, Ibrahamav. Your own comments are more revealing than anything I could ever hope to write in response. You're welcome. Of course, unlike you, the other writers mentioned seem to fear free speech.